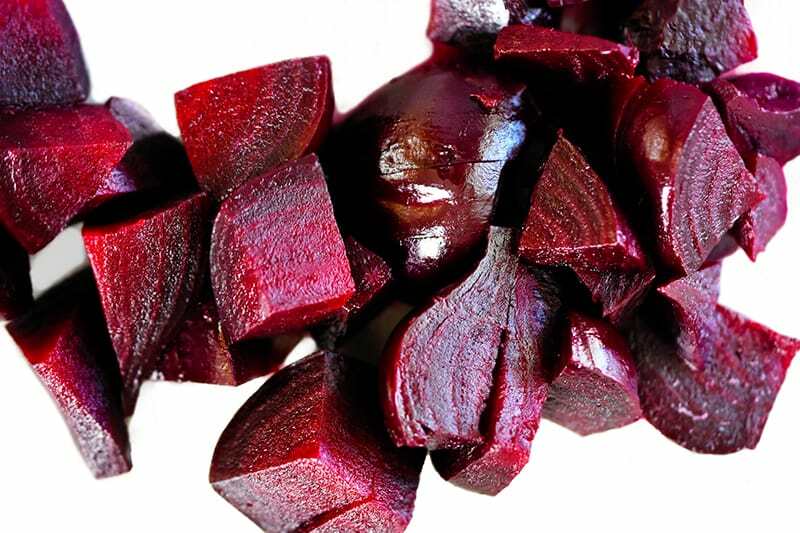 Does your heart skip a beat when you spy a haul of gorgeous beets at the farmers’ market? But did you nonetheless stop buying ’em because you always inadvertently leave them to rot in your crisper? Yeah, I know—it’s hard to find time to roast them in the oven. 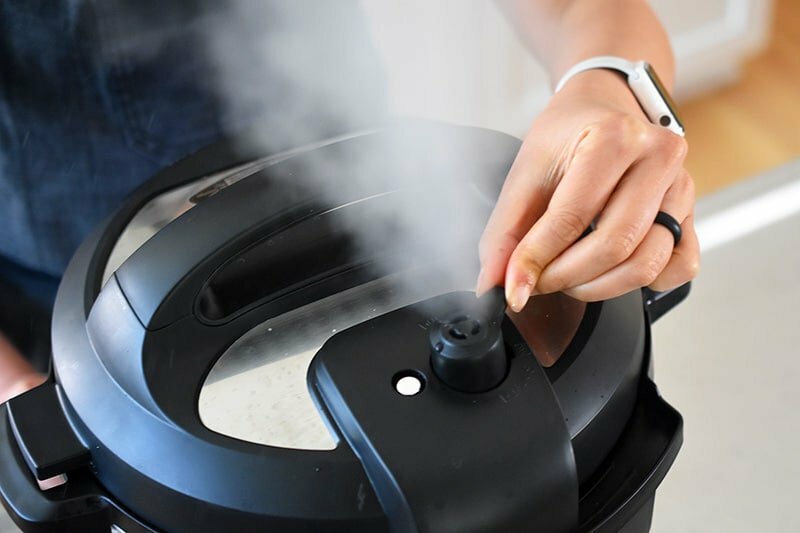 If you’ve got an Instant Pot, however, I’ve got the solution to your woes: Pressure-steam those magenta beauties! 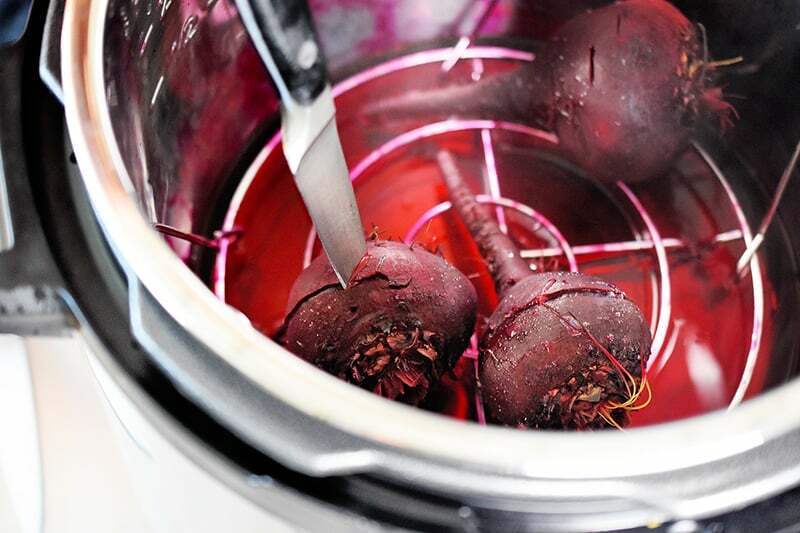 Ready to pressure-steam some beets? 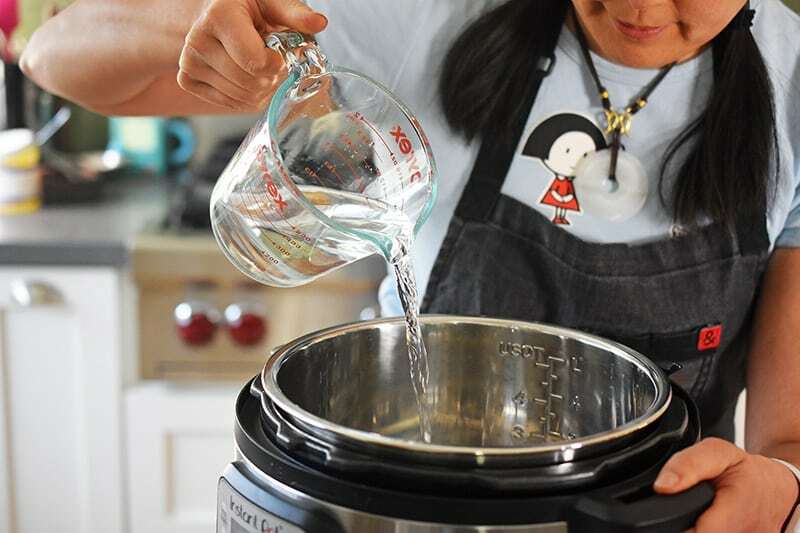 Grab your Instant Pot (or other pressure cooker) and add 1 cup of water into the insert. 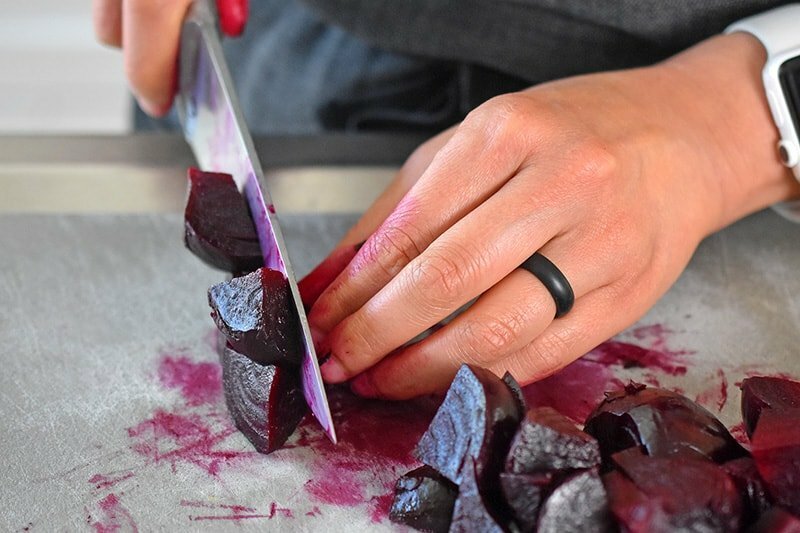 …and arrange the beets in a single layer on top. 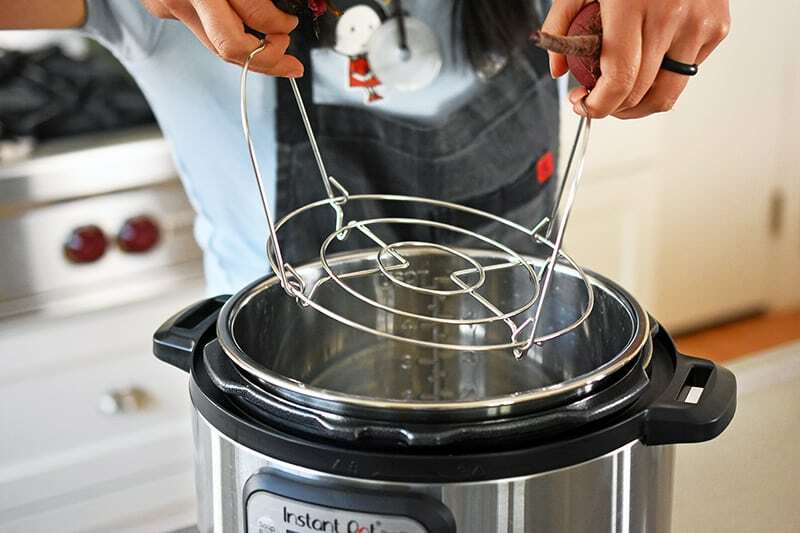 Unlock the lid. 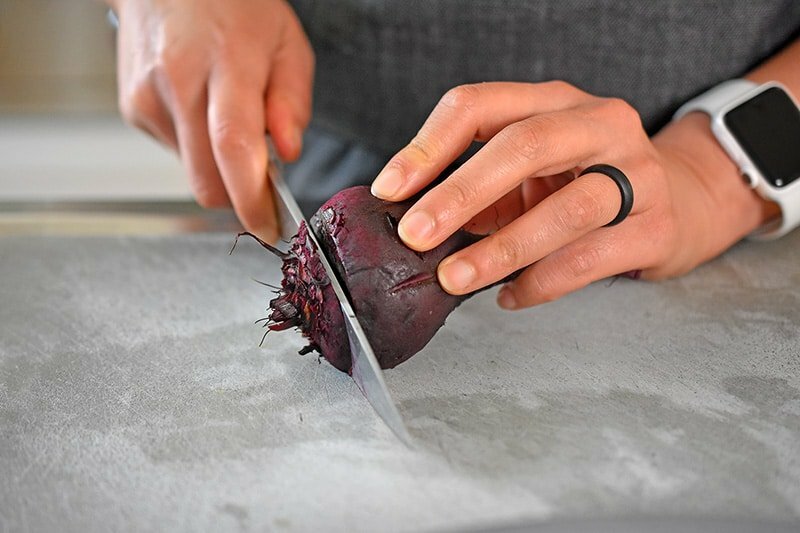 Once the steam dissipates, use a sharp knife to poke the beets. If the knife pierces the flesh without too much resistance, they’re done. 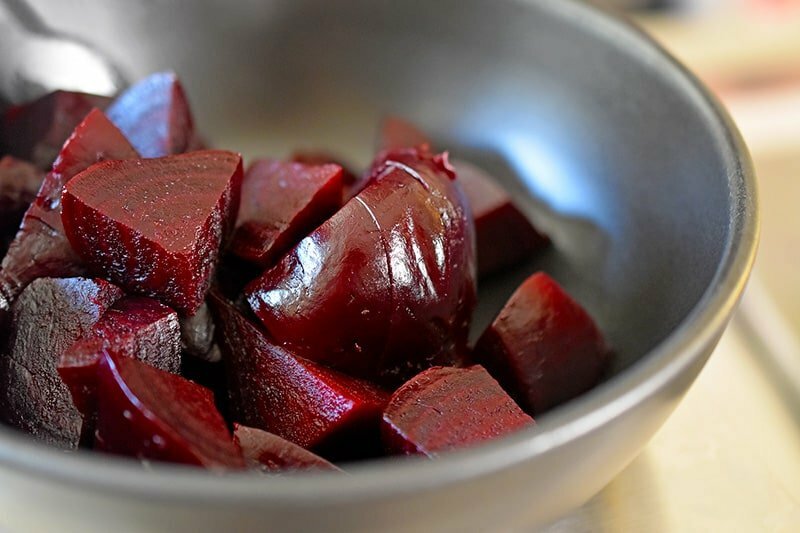 If the beets still seem a little too hard, cook them under high pressure for 2 to 5 more minutes. 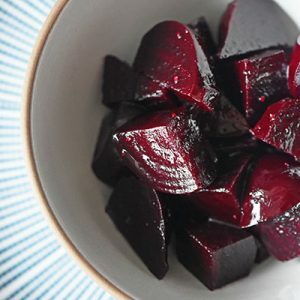 You know what you can make with these cooked beets? 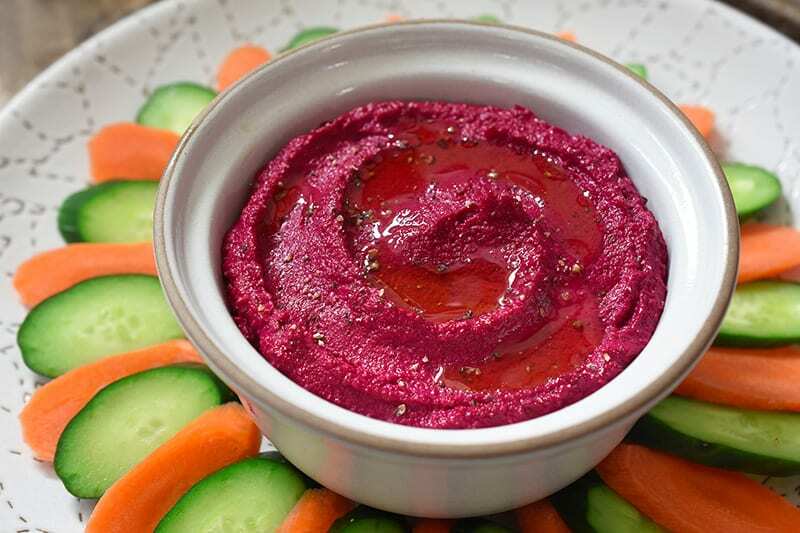 Beet Hummus! 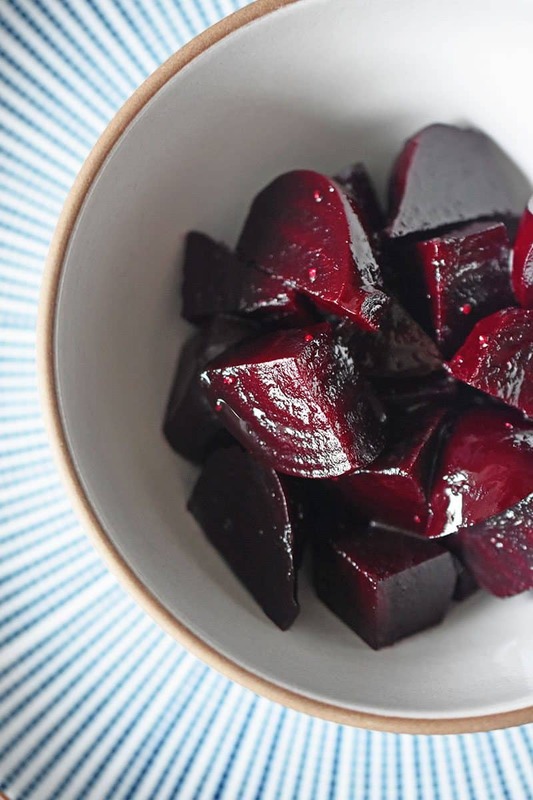 You can keep the cooked beets in your fridge for up to a week. 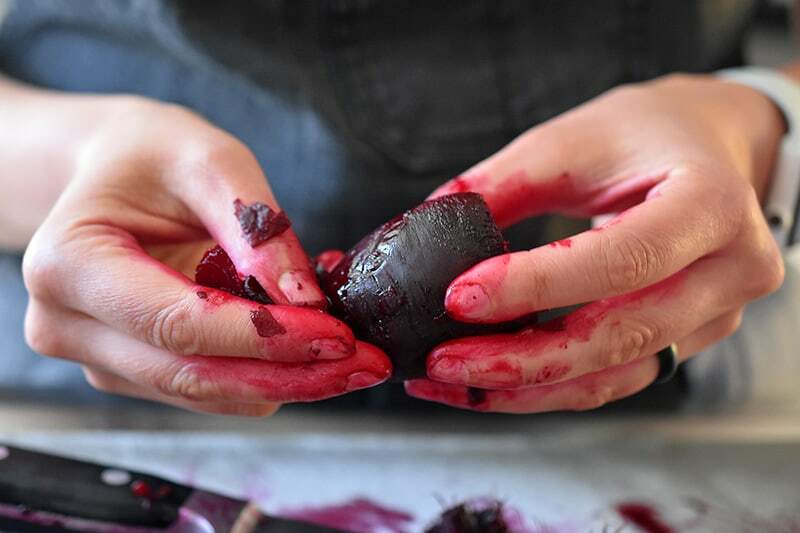 Wanna check out the replay of me making the Instant Pot Beets and Beet Hummus on my Facebook Live broadcast (recorded on April 26, 2017)? 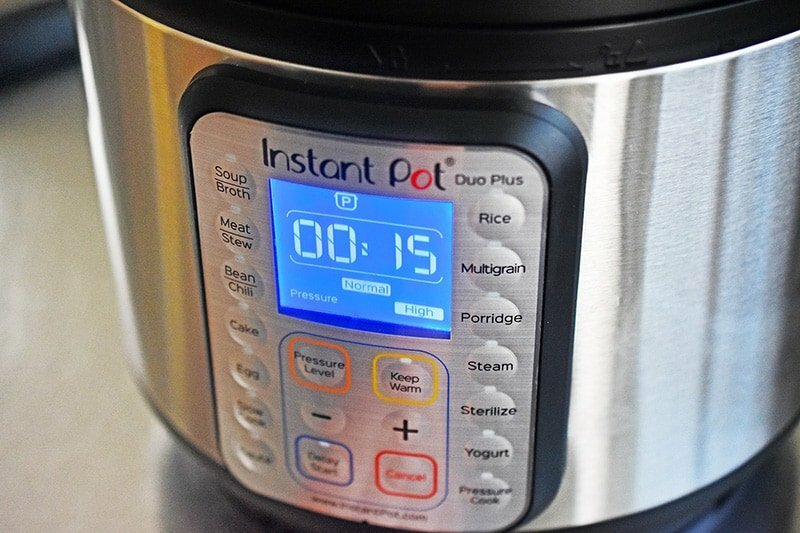 I make it in my brand-new Instant Pot, the IP-DUO Plus60 (9-in-1 cooker)! Also, you should totally get Samin Nosrat’s awesome new cookbook, Salt, Fat, Acid, Heat! 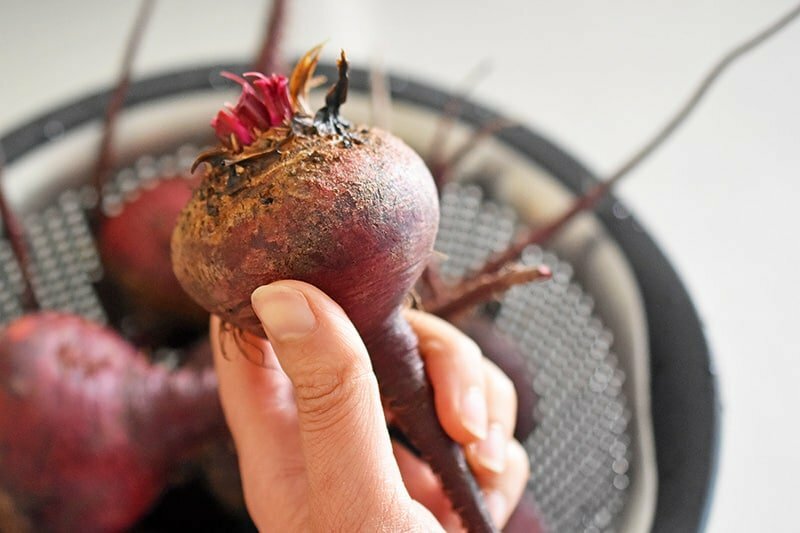 When you use a pressure cooker to steam beets in an Instant Pot, you can have fork-tender, finger-staining vegetables in 30 minutes, from start to finish! 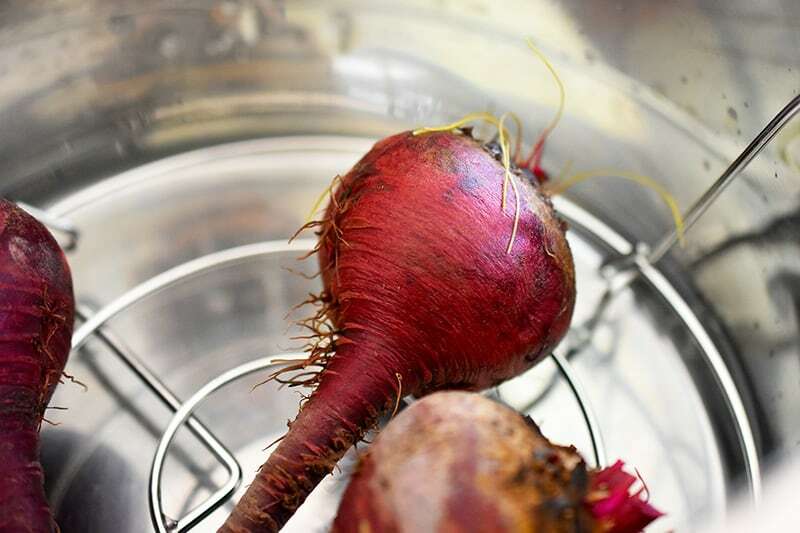 Place a steamer insert inside and arrange the beets in a single layer on top.